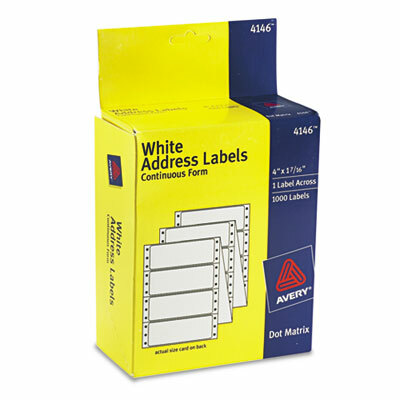 Bright white labels for sharper print quality. Perfect for professional-looking mailings, shipping, bar-coding and organizing. Rough texture backing for minimal slippage while printing. Bright white labels for sharper print quality. Perfect for professional-looking mailings, shipping, bar-coding and organizing. Rough texture backing for minimal slippage while printing.